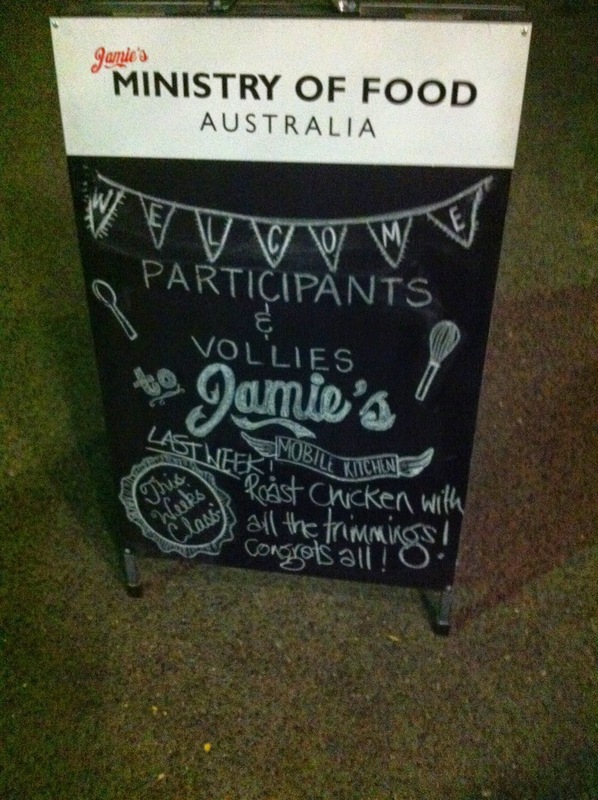 Sadly, this was our last week at Jamie’s Ministry of Food in Brisbane. I can honestly say that I have loved every minute of the classes. 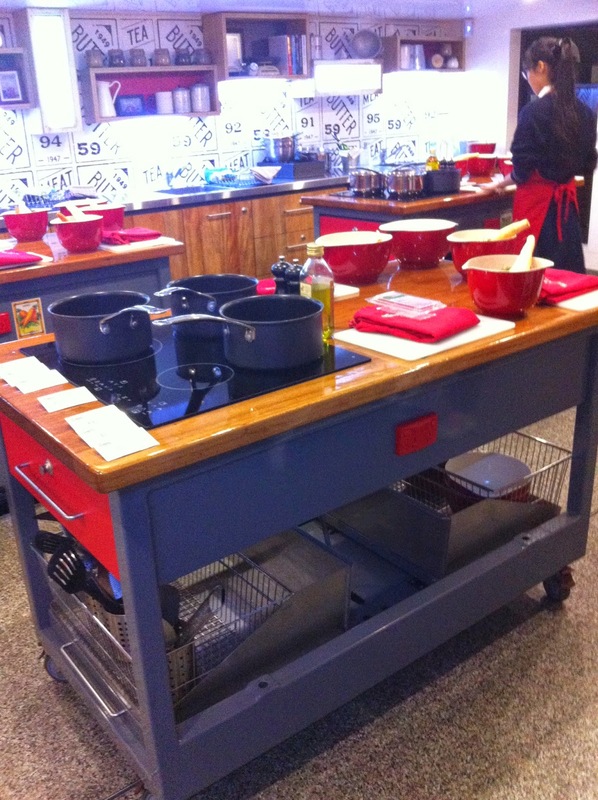 It doesn’t matter what your cooking ability is, if you sign up for these classes, you will learn lots. For our last class, we made some delicious roast vegetables, while our instructor taught us how to roast a chook and make gravy from scratch. It was the most delicious gravy I have EVER tasted. It’s about a million per cent better than a packet mix. It was another excellent class and it ended on a high, with us pulling up a stool and sharing a meal before doing our final clean up and saying goodbye. 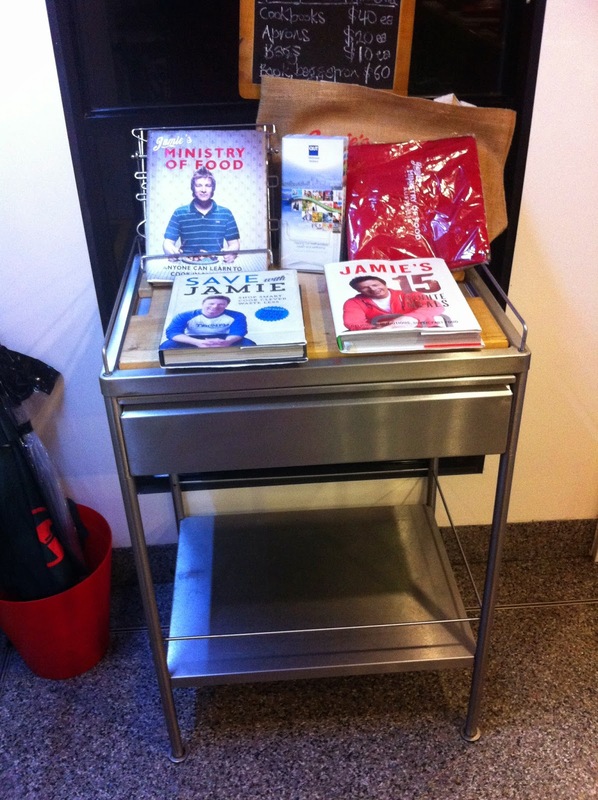 Think what you will of celebrity chef culture, but I think Jamie is a case of someone who uses his celebrity and his position in this industry to actually do something good. He wants people to stop thinking that takeaways are cheaper than home-cooked meals and that cooking has to be complicated to be tasty and healthy. I’ve been firmly on the home-cooked bandwagon for years, and yet I was still motivated to move even further away from things like store bought stocks, to read the labels on tins and be a bit more careful about additives and preservatives, to time my preparation out so that it is really quick to make a meal (and also adds a lot more flavours). The other thing that I’ve desperately wanted to improve on for years are my knife skills. And while I’m still a little un-co when it comes to wielding my big chef’s knife, I’m definitely cutting things in an easier, more precise way. I keep thinking, if the level of my cooking has gone up this much in just five weeks of classes, where could it go? The teachers at the school are lovely, helpful and they know their stuff. Meaning, if you want to ask why you are doing something, they’ll tell you why — and there’s no feeling silly if it’s something the others already know. I wanted to do something nice for Nikki, our teacher, and Amanda, our lovely volunteer (who did a fair stack of washing up in five weeks), so I whipped up a batch of jam fancies the night before. 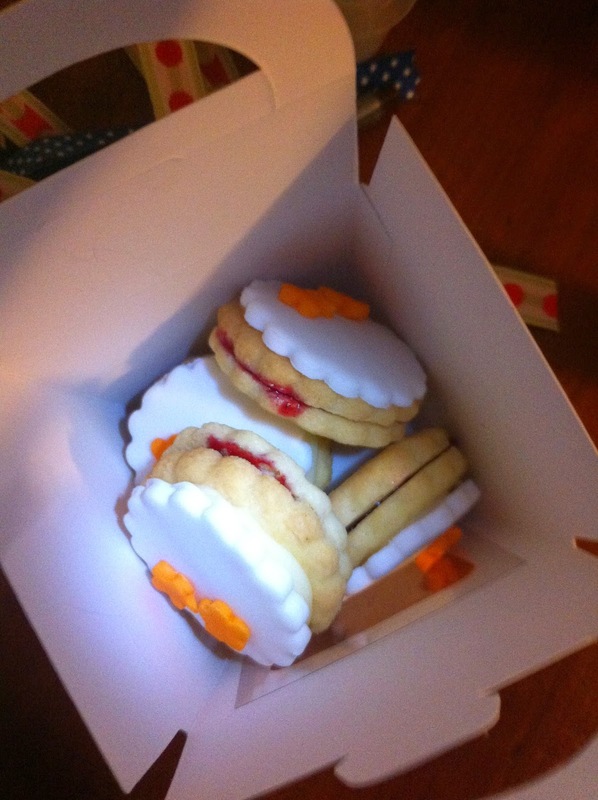 It was nice to give cookies as a gift as it gave me a chance to use some of the gorgeous packaging I’ve been hoarding. It was just a small token of the huge appreciation I have for both of them for their time, skills and patience – the program is good, but a good program is nothing without great people to execute it. 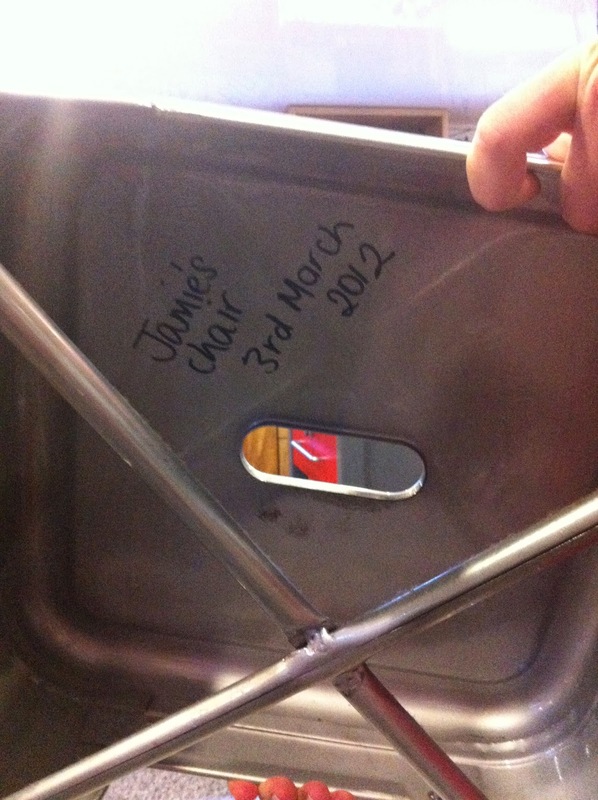 The only thing I was disappointed about in the whole five weeks was that I didn’t get to sit on the stool that Jamie had sat on!